For my birthday my brother gave me Jonathan Wilson’s (author of Inverting the Triangle) newish book on goalkeepers, The Outsider. It’s good, a history churning with riffs on how fundamentally weird the position is, and how odd the characters inhabiting it often are. He begins it by recounting his personal best moment sporting moment, which he had while in goal for a hockey game. “Control is so much his obsession that he is completely frank when he says he prefers the first touch that started any of his most memorable goals than the strike that finished them. Others might say that, but it is doubtful they really mean it. 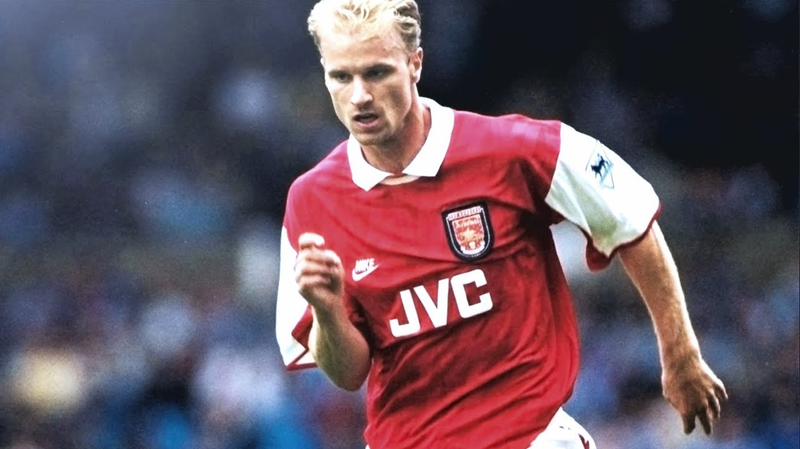 Bergkamp does. The glory, for him, is all about control and touch. The Arsenal-Norwich game this past weekend is going to be remembered for its great goals. It wasn’t a particularly great game, and Arsenal were not as in control as the 4-1 scoreline might suggest, but the goals were the luminous type that do seem to occur in an elastic time. The seconds bend, the players understand exactly the geometry of their positions in a way that seems, as you watch, impossible. Then the replays begin and us spectators get a secondhand dose of slowed time- and the replays will continue, and continue.